Even the tiniest artists can participate in our Original Works preschool fundraising program!Original Works fundraisers do not require any door-door selling, and offer a unique and “healthy” alternative to fundraising. Our Preschools have been very successful with our See Before You Buy (SBYB) and Original Programs (OP). Both of these programs are a perfect way to introduce our youngest students to art, promoting self-esteem and creating memories that families will be able to cherish for years to come. You can learn more about these preschool fundraising programs by clicking below. Our Original Program is a fun and easy program that allows you to focus on creativity while students create artwork that will become keepsake items. Parents love this fundraiser, which provides a perfect solution to gift-giving!How does our Preschool Fundraising work? We supply FREE program materials, and support, including lesson plans such as our creative “Ice Cream Cone” plan – click here to view. The SBYB Program is another great way to introduce our program to your families. 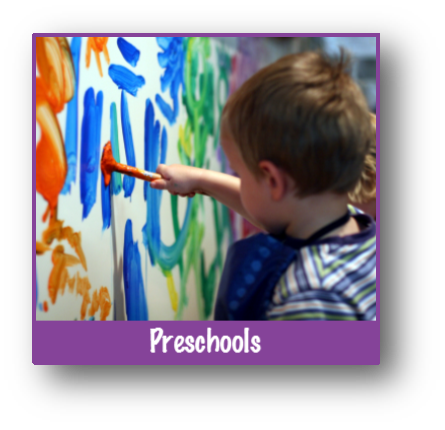 Each preschooler will receive what we call a preview magnet of their child’s masterpiece. The magnet is sent home for families to preview and place orders. Who can resist artwork created by our youngest family members? With our preschool fundraiser, we provide you with everything you need to get started! Free art paper, supplies, and access to many age appropriate lesson plans such as our ever popular Hands On preschool lesson plan.